This project website is your information source for the New Jersey Turnpike Authority Interchange 14C Bridge Rehabilitation Project. Here you will find the latest construction updates and traffic advisories around the project area. Starting on or about July 13, 2018, a new traffic pattern will occur within the project area. The traffic pattern is expected to be in place until the end of January 2019. Click HERE or on the map image below to view the traffic pattern map. 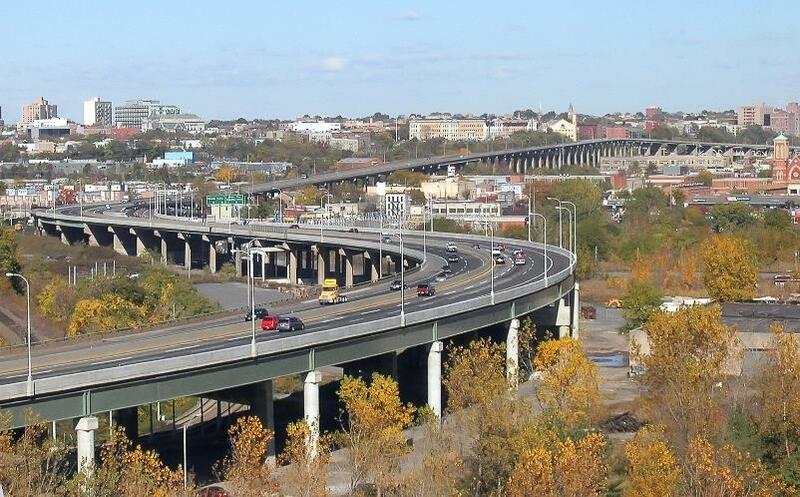 Construction will occur in the Eastbound direction of the Newark Bay - Hudson County Extension (NB-HCE) from Milepost N5.1 to Milepost N6.0 (14C toll plaza), starting on 4/26/2019 and lasting until 4/29/2019. Over this period, the Eastbound (HWE) roadway will be reduced to one lane approaching the 14C toll plaza (normal configuration is two lanes) and toll lanes 5-7 will be closed. Toll lanes 8 and 9 along the Westbound (HEW) roadway at the 14C toll plaza will also be closed. Construction will occur in the Eastbound direction of the Newark Bay - Hudson County Extension (NB-HCE) from Milepost N5.1 to Milepost N6.0 (14C toll plaza), starting on 4/12/2019 and lasting until 4/15/2019. Over this period, the Eastbound (HWE) roadway will be reduced to one lane approaching the 14C toll plaza (normal configuration is two lanes) and toll lanes 5-7 will be closed. Toll lanes 8 and 9 along the Westbound (HEW) roadway at the 14C toll plaza will also be closed. On occasion, the project team may send out construction updates on the status of the project. If you would like to receive updates, please click the button below to subscribe to our email mailing list.